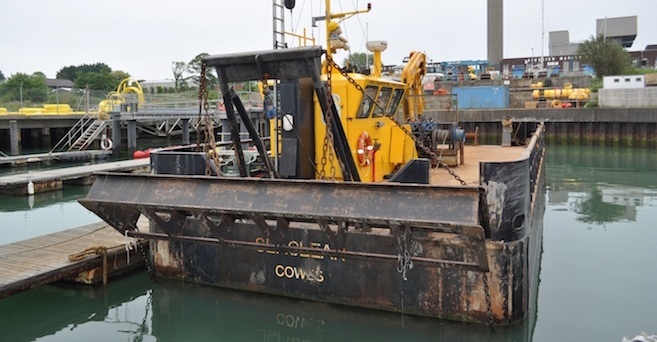 The Cowes Harbour Services Multi-Cat Seaclear has a 6m bed levelling plough. 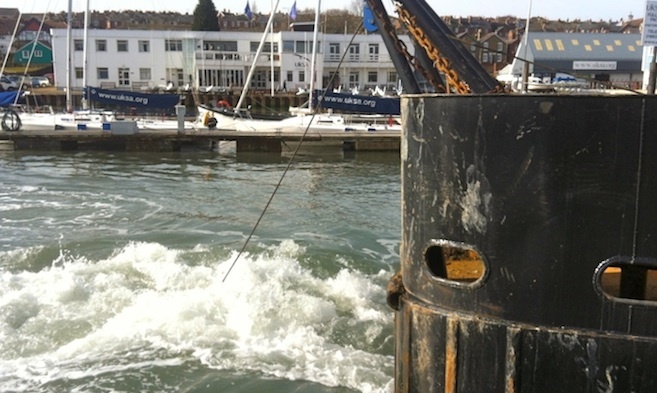 This has allowed us to undertake diverse contracts, returning marina basins to dredged depths, clearing accumulated silt from travel hoist berths, and flattening berths on commercial wharfs, reducing the tendency of vessels to slide off their berths at Low Water. 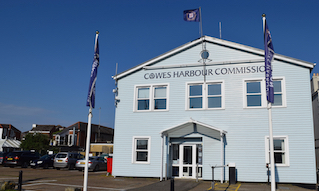 Our marina work includes contracts at Cowes Yacht Haven, Cowes Harbour Shepards Marina and East Cowes Marina. Other recent clients have been Medina Wharf, Isle of Wight Aggregates, and Isle of Wight Fuels. 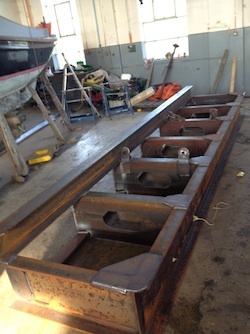 The plough is set to the desired height above datum from the most recent surveys available and consistent overlapping cutting runs are made to incrementally return the seabed to the required profile. Any spoil that has been moved into the fairways or surrounding areas is then repeatedly worked on the ebb tide, the cut material being borne away in suspension.